Rabbit’s Moon is an avant-garde short film created by American filmmaker Kenneth Anger. Originally filmed in 1950, Anger only finished and released it in 1972, before re-releasing it in a second edition with a new soundtrack and other alterations in 1979. 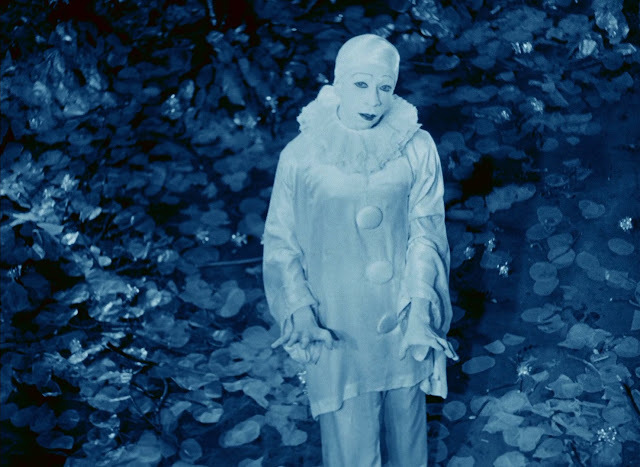 Filmed under a blue filter and set within a wooded glade during the night, the plot revolves around a clown, Pierrot, who longs for the Moon, in which lives a rabbit (a concept found in both Japanese and Aztec mythology) and his futile attempts to jump up and catch it. Subsequently another clown, Harlequin appears, and teases Pierrot, showing him Columbina, with whom he appears to fall in love. The 1972 version features a soundtrack made up of a series of pop songs; "There’s A Moon Out Tonight" by The Capris, "Oh, What a Night" by The Dells, "Bye Bye Baby" by Mary Wells, "I Only Have Eyes For You" by The Flamingos and "Tears On My Pillow" by The El Dorados. The 1979 version, which is speeded up, instead features the song "It Came in the Night" by the band A Raincoat played on a loop.